Another unexpected change in plans worked out to be a bonus for us. 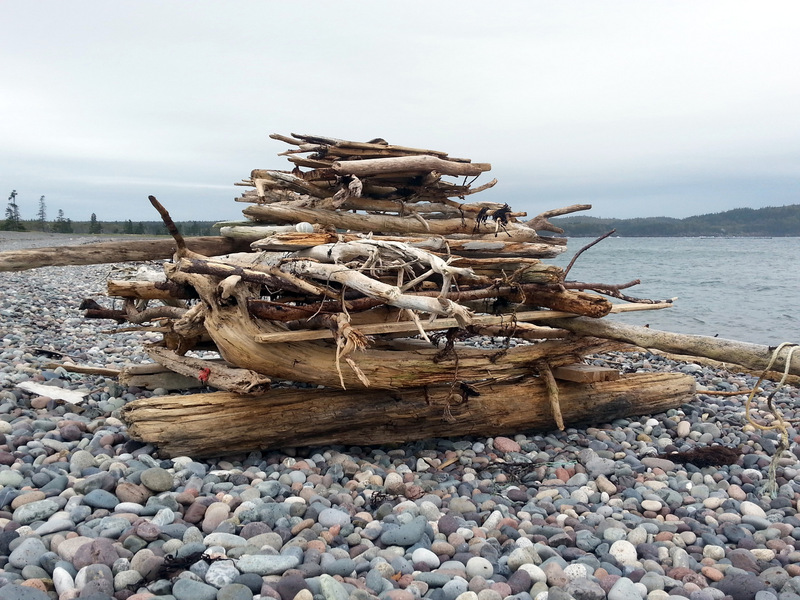 We had planned to camp at Cobscook Bay SP (up near the Canadian border) for a couple of nights. But, upon arrival at the gates on Sunday morning, we found that the park was closed due to the federal government shutdown. Seems that the SP is located smack dab in the middle of some federal land. Who knew? 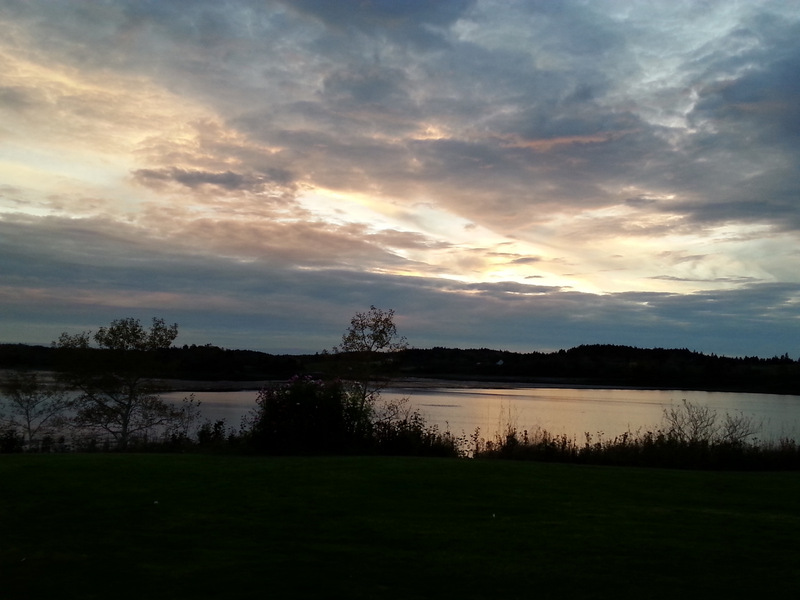 So, we wandered back to the last town, and wound up at Sunset Point RV Park in Lubeck, ME. 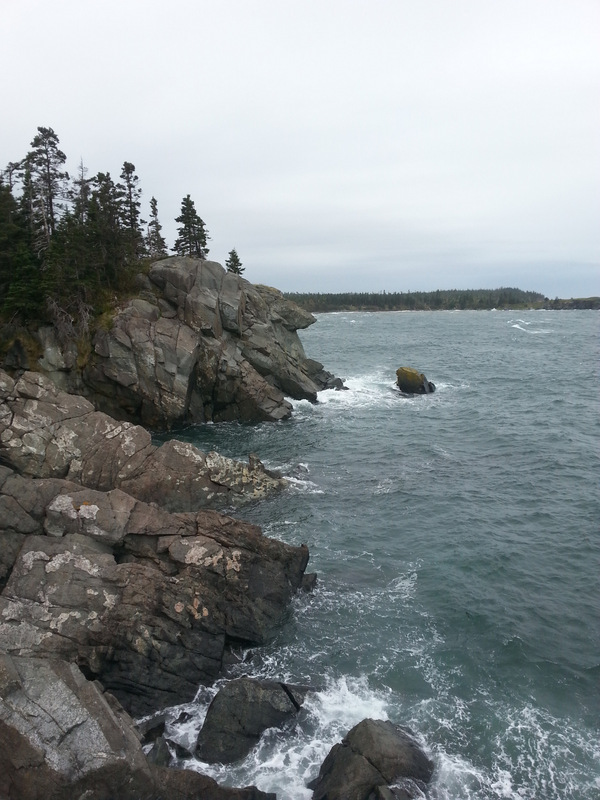 Lubec is the farthest east point in the US. 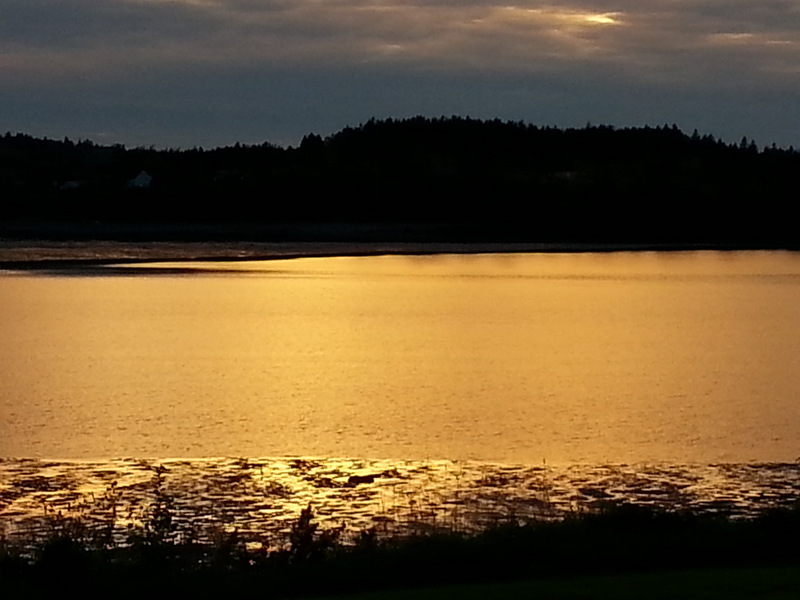 No kidding – it’s dark here at 6pm! Wild, woolly, and wonderful. We are camped right on the ocean. Incredible. 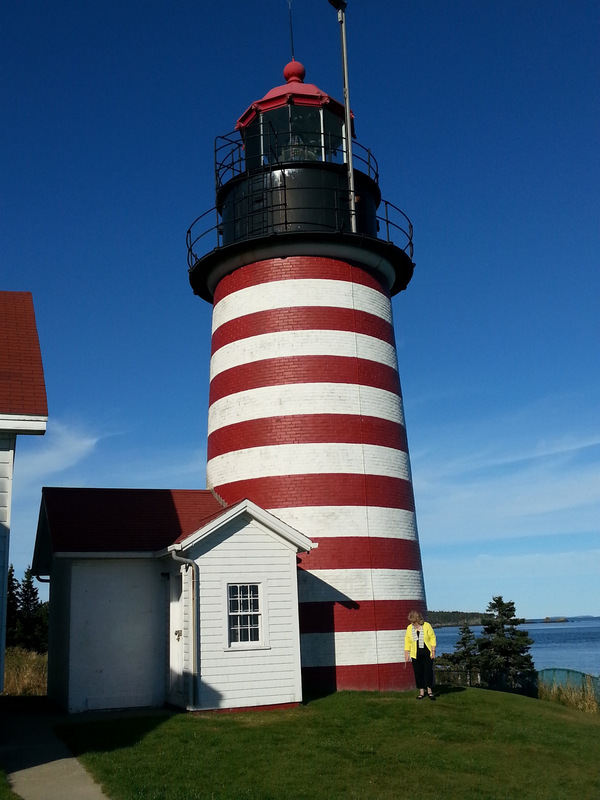 We explored the Quoddy Point lighthouse, which (naturally) is the easternmost point in the US. 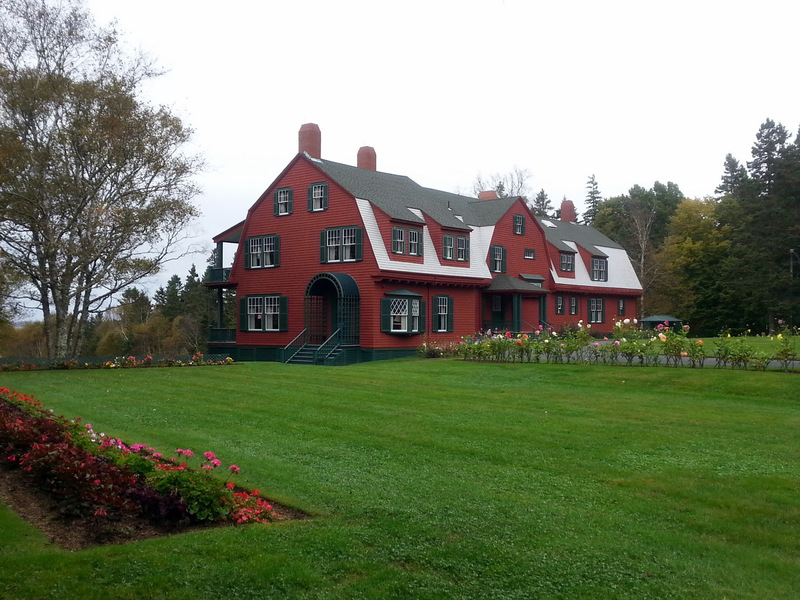 Decided on Monday to ride our bikes across the International Bridge into Canada’s Roosevelt Campobello International Park,home of FDR’s childhood summer home. This meticulously-maintained park is jointly maintained by the US and Canada, and was truly a delight to visit. The home has many of the original furnishings used by the Roosevelts, and an abundance of photos. Both John and I are now in a hurry to read more about FDR and Eleanor. 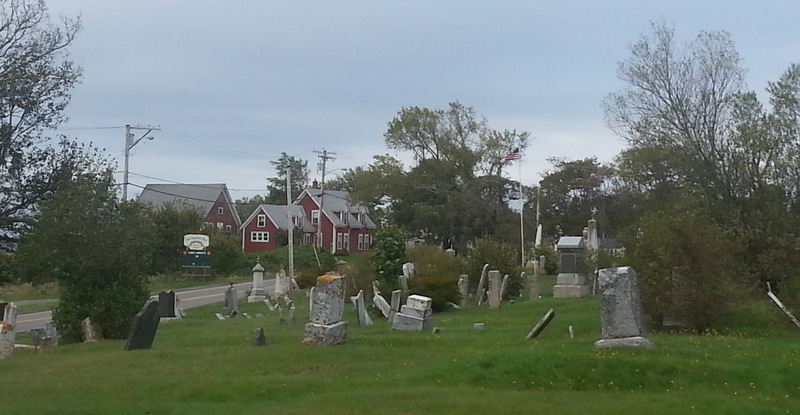 Isn’t that what historic sites are supposed to encourage? fantastic window in the Hubbard House next to the FDR house. We explored the rest of the Island on our bicycles, having ridden from our campground across the International Bridge. The wind was whipping and we were grateful for the shelter of the trees alongside the gravel roads we had chosen to ride (one advantage of traveling with fat-tire bikes). We went south to Liberty Point. 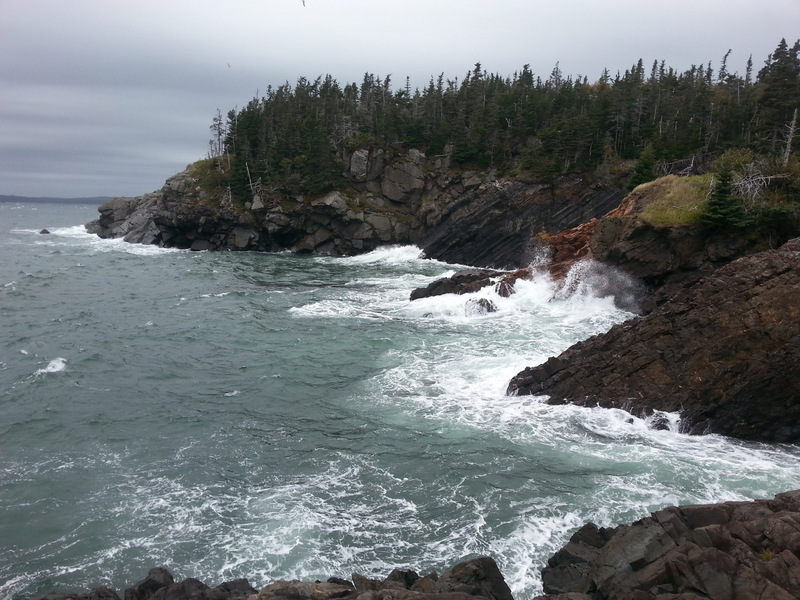 The wind was truly howling at that point – waves were smashing up against the rocks. I was truly afraid that my camera (phone) was going to be torn from my hands. It was exhilarating and scary. The ride across the Bridge back into ME was even worse. The cross-wind was incredible! We were leaned severely to our right side (toward the short railing). My thoughts were all about the unfortunate woman who got thrown off the Mackinaw Bridge in her Yugo! It was truly a scary, crossing. 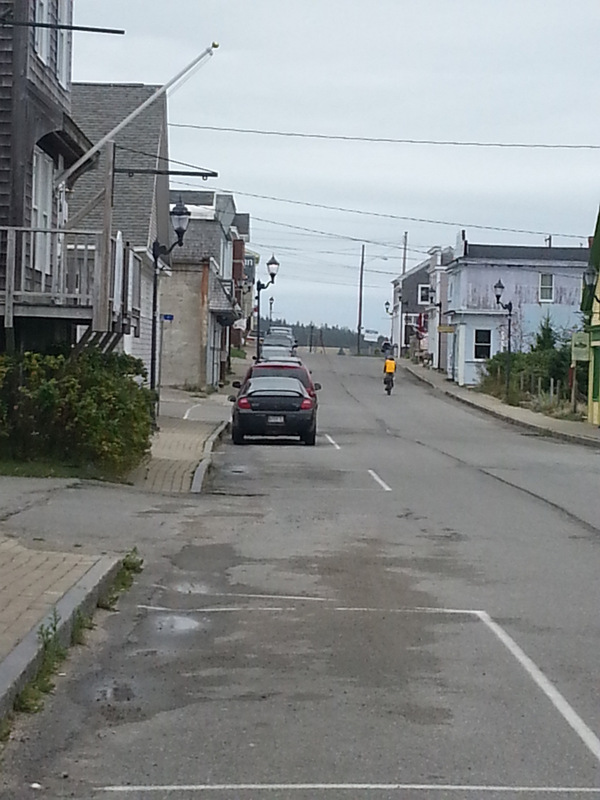 Lunch in Lubec, which supposedly is undergoing a renaissance of sorts, which is not evident from this photo. 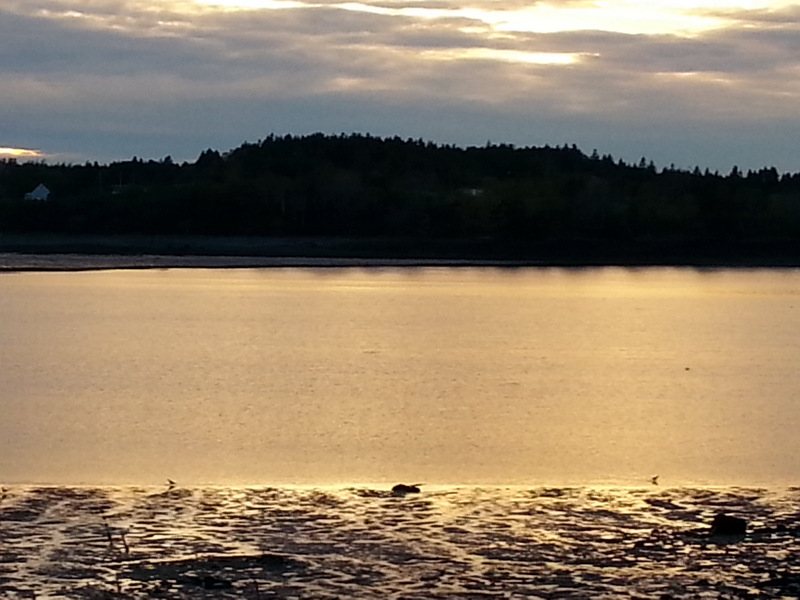 We did get to watch seals cavort in the bay nearby, but they were too far out to get a decent shot. Still, fun to watch. Today (Tuesday), we’ve moved to Bradbury Mountain SP, not too far from Portland. We’re back to our camping ‘roots’ in a rustic campground with pit toilets and awesome campsites. The fire is crackling, the Detroit Tigers are on the radio, and we’re hoping to help them to a critical win tonight to stay alive. 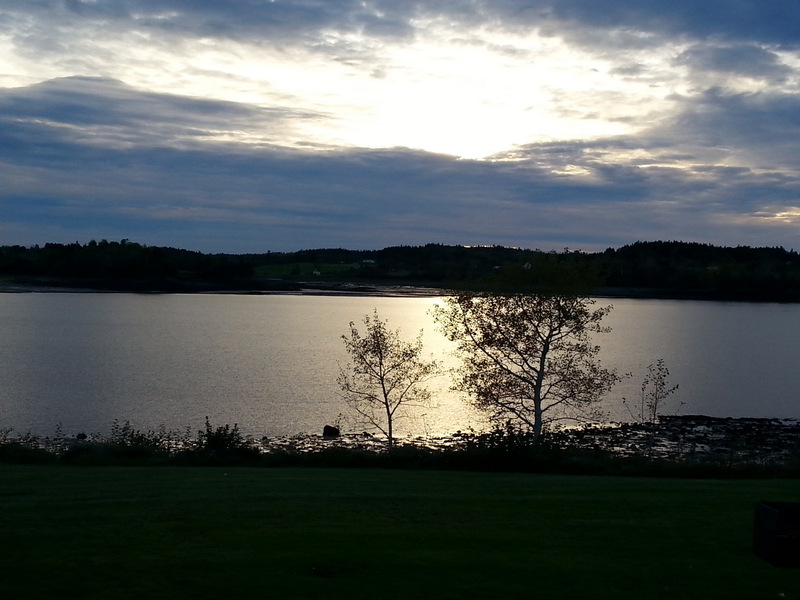 Enjoying the sights and sounds of Maine..
Last night we had a wicked pissah of a storm (that’s the way we talk now after being in Maine for a week). About 30mph winds buffeted the Fireball mercilessly all night. Was surprised to find ourselves intact in the morning. We now call the Fireball our campah. 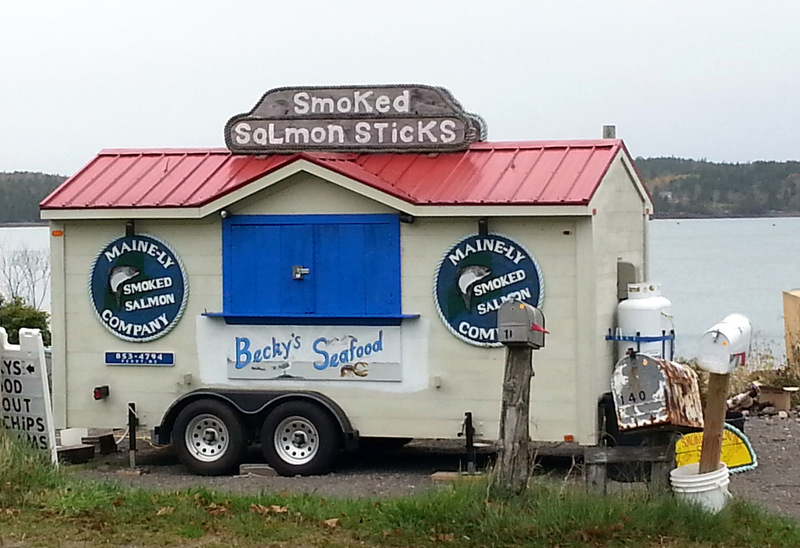 This entry was posted in camping, cycling, Maine, national parks, retirement, simple camping and tagged camping, cycling, historic sites, Maine, simple camping, the great outdoors by Judy Crankshaw. Bookmark the permalink. 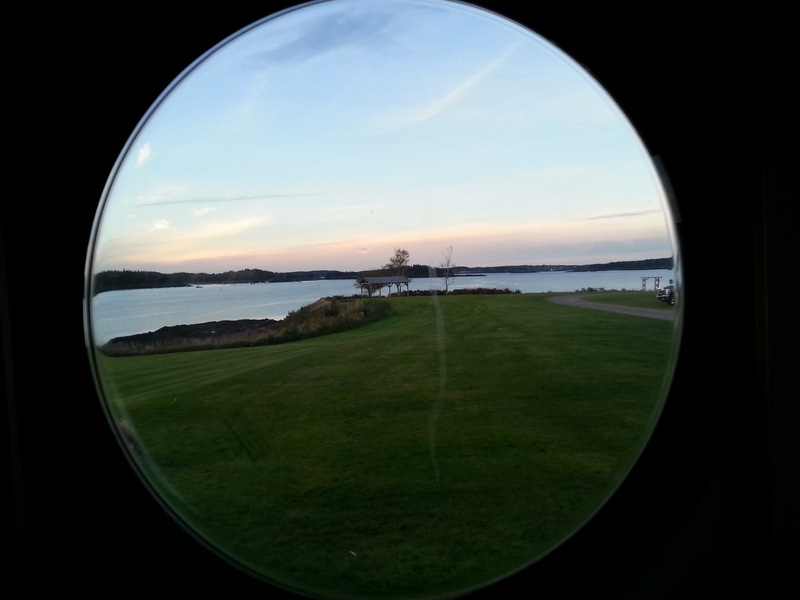 The FDR displays at Campobello Island superb. I’m loving the scenery from your trip, and it’s good to hear that you’re making out OK despite some obstacles, but I think that I would have walked my bike across the bridge. We thought about walking. But, to me, that’s usually more difficult to control. On top of the wind, there was a construction zone, making the roadway even narrower. So, it was just put your head down, keep to the middle as much as you can, and pedal like a maniac! We had to laugh about it when it was all over. It’s always good to be flexible. Look at all the wonderful new experiences you have had thanks to the stupid antics of our elected officials. Life is good. Love your adaptability. Sounds like camping gives you a much greater freedom to change your plans at the last minute. I admire your willingness to go along with whatever comes up. Have a blast.